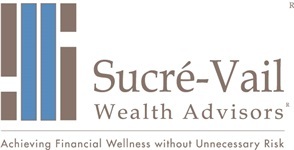 We at Sucré-Vail Wealth Advisors respect your financial privacy. We recognize that you have provided us with private personal financial information, and want you to know our policy regarding that information. Information you have given us, such as investment advisory agreements, brokerage account applications, and other documents you completed while opening and maintaining your accounts with us. Information you have given us orally. Information we receive from third parties, such as brokerage firms, outside managers and banks about your transactions with us or with others. When you have specifically authorized and directed us to do so. We prohibit an employee from providing client information over the telephone or in response to an e-mail message unless the employee has identified the other person as the client, a fiduciary representative of the client, an authorized agent of the client or a party that needs the information to complete a transaction for the client (such as broker-dealers, custodians or administrative service providers). We maintain physical, electronic and procedural safeguards within the firm’s offices to protect your privacy.